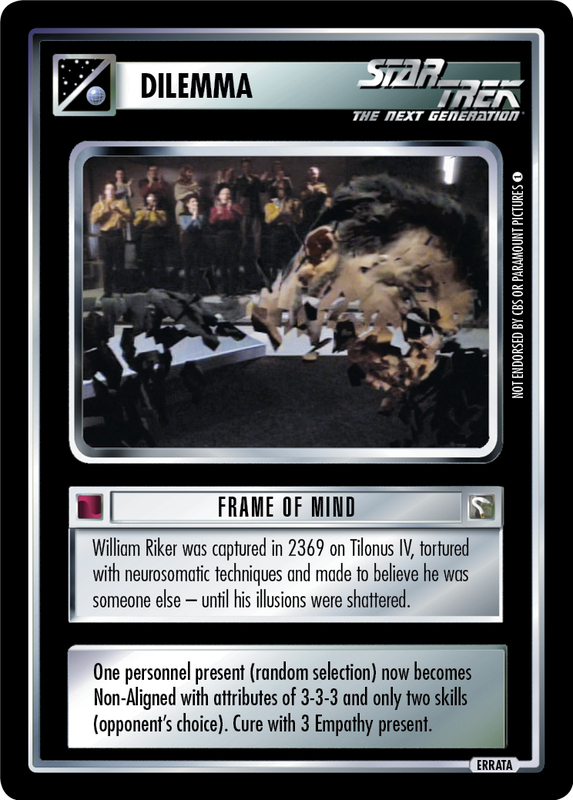 William Riker was captured in 2369 on Tilonus IV, tortured with neurosomatic techniques and made to believe he was someone else - until his illusions were shattered. One personnel present (random selection) now becomes Non-Aligned with attributes of 3-3-3 and only two skills (opponent's choice). 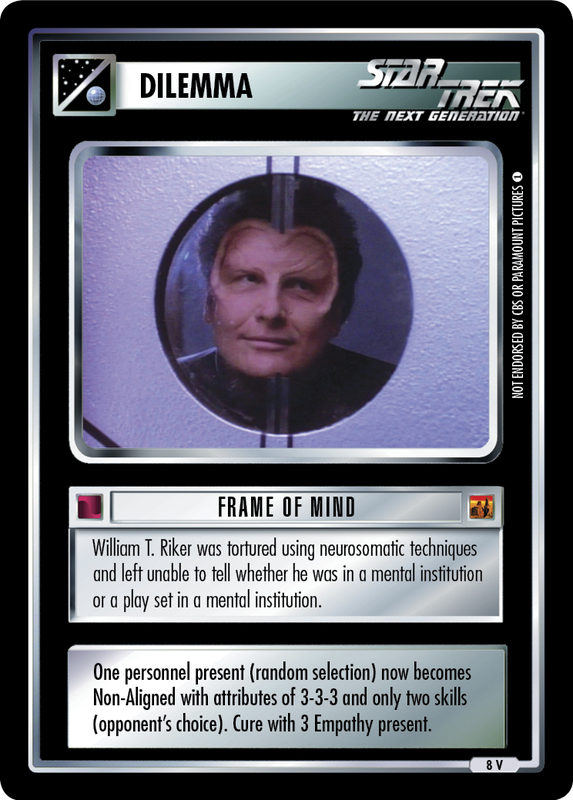 Cure with 3 Empathy present.